Enhance clear glass with a wide range of designs and patterns. 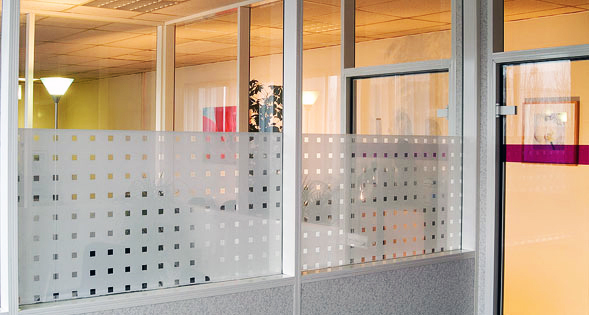 Add privacy and style to office partitions, ground level windows, doors and many other applications. Frosted Vinyl with small squares.